? Research shows that the pine tree is acidic and for this reason, other plants cannot be grown under it.
? From an ecosystem perspective, neither bees nor their hives have been spotted on these trees and birds also do not seem interested in forming their nests on this tree.
? 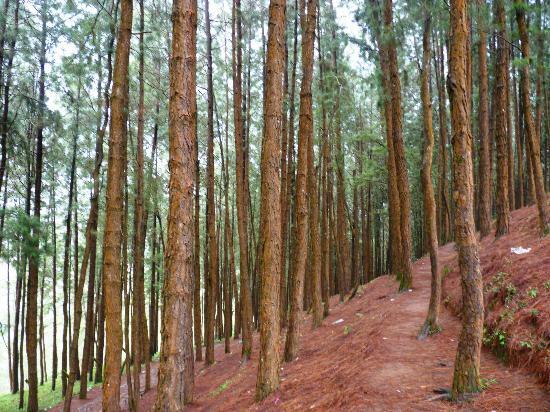 Wood of the pine tree is not a hard type and it has no real value for the timber industry.
? In comparison to other trees, especially fruit trees such as: figs, berry, apple, etc. the pine tree usually grows vertically. This means that the shade provided by this tree is not much because the branches are short whilst the leaves are sharp and thin.
? The pine tree has a cold nature and a negative energy. One of the most common sites in the world where suicide is committed is the Aokigahara forest in Japan. This area has an abundance of pine trees.
? The pine tree is evergreen. However, being evergreen is not necessarily a positive point. Having a seasonal nature is sometimes more beautiful and more beneficial to human beings. In some countries, trees that bloom in the spring are considered to be beautiful tourist attractions. The holy Quran also gives examples of the importance of both life and death when likening it to nature as it dies in the winter and revives in the spring.
? Nowadays the pine tree is believed to be a symbol of Christianity. However, the real symbols of Jesus are olives and palm trees. The holy Quran refers to the palm tree that fed Lady Mariam (s.a.) when she was in labor. ✅ It is worth noting that planting this tree and insisting on having it in our gardens is not recommended and in Islamic sources we are told to plant fruitful trees such as apple, olive, palm, figs, pomegranate, grapes, etc. as these benefit human beings, birds, insects and nature.